Successfully Added 4 Channel DVR - H264 DVR, 7 Inch Flip-Out Screen to your Shopping Cart. 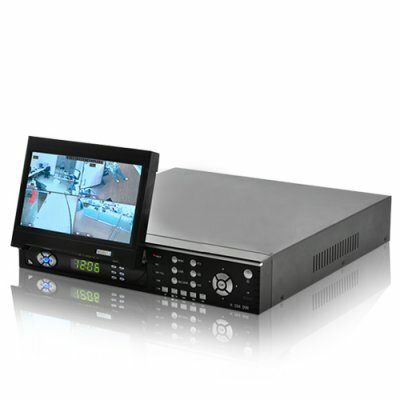 4 Channel H.264 DVR with 7 inch flip-out screen: a true all-in-one security system featuring powerful network capabilities for you to monitor your home or business, record high resolution videos and view them over internet. 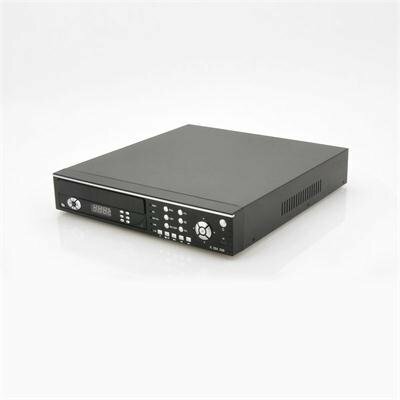 This DVR can connect up to 4 security cameras (PAL or NTSC) and enables you to comfortably take control of them. With a 7 inch flip-out screen, you can view videos directly without connecting it to a monitor, saving you lots of money and time. The DVR also allows for single camera or quadrant split screen viewing. With support for TCP/IP, UDP, HTTP, NTP, DHCP, and DDNS network protocol, it is possible to connect the DVR Security System to your LAN or even the Internet, meaning that even if you are miles away, you can still keep a close eye on your home or business, as long as you have a computer with internet access. You can even perform PTZ control or command your DVR to capture still images and videos as solid evidence for further legal actions. A great wholesale price makes this 4 Channel DVR Security System perfect for reselling online, or personal/company use. Also comes with our famous 12 month product warranty. Order yours right now, from the leading electronics wholesaler - Chinavasion. Can I use less than 4 cameras with this DVR? Totally. You can connect 1, 2, 3 or 4 cameras with this DVR. If you have less than 4 cameras, the quadrant split screen will only show images of your cameras. The remaining part will show blank.